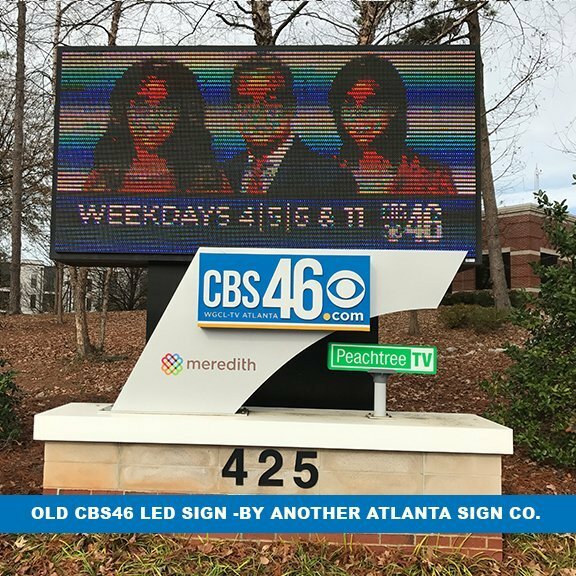 CBS46 PeachtreeTV, located in Atlanta, Georgia on 14th street had a recently installed LED digital display sign from another sign company within Atlanta. 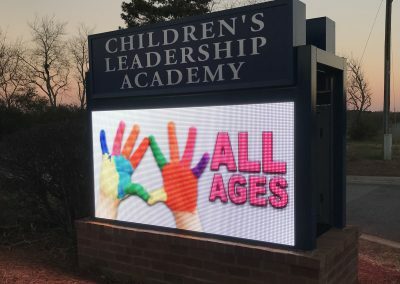 The LED sign did not work correctly and was no longer being supported by this company, making it unusable to the television station. 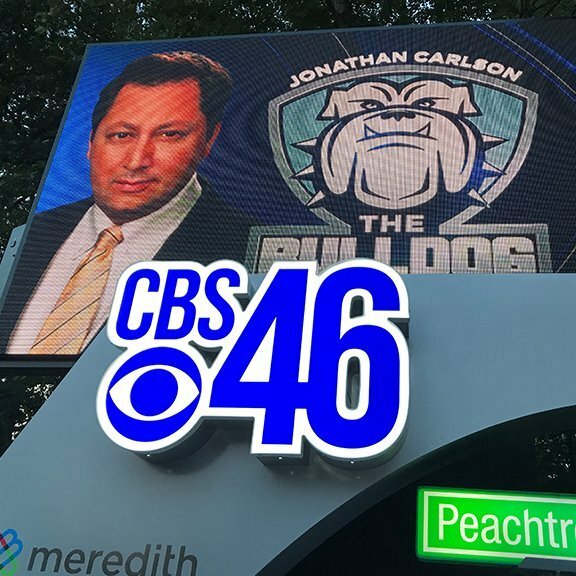 SignGig was asked to replace the LED sign as well as the new CBS46 logo. 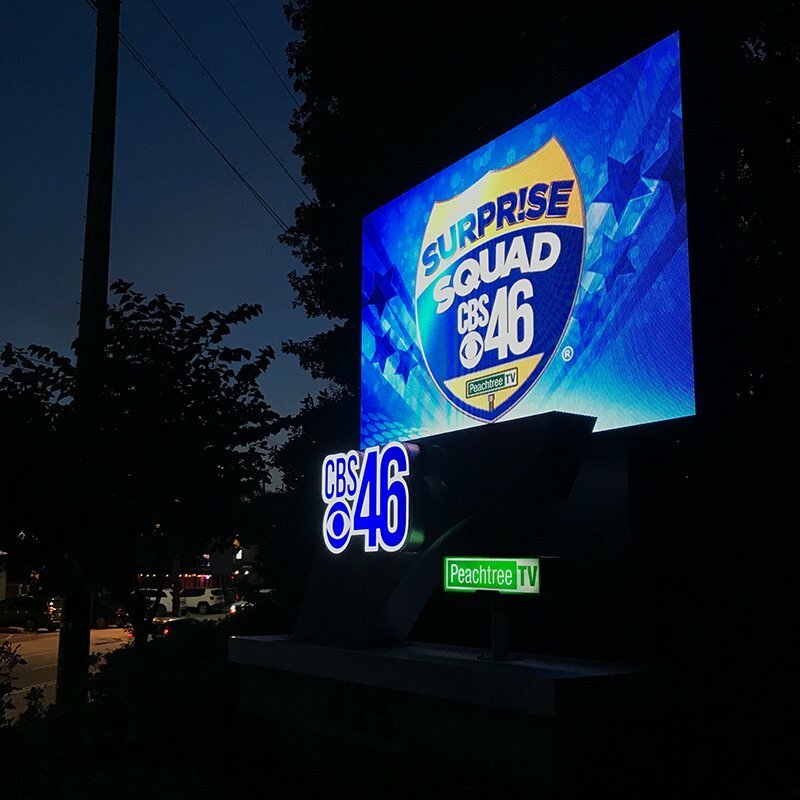 The result is a crisp, beautiful 6mm LED sign which CBS46 PeachtreeTV Meredith can be proud of. 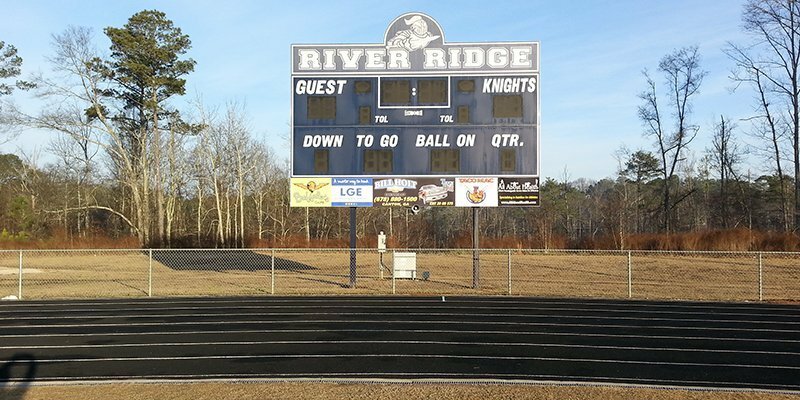 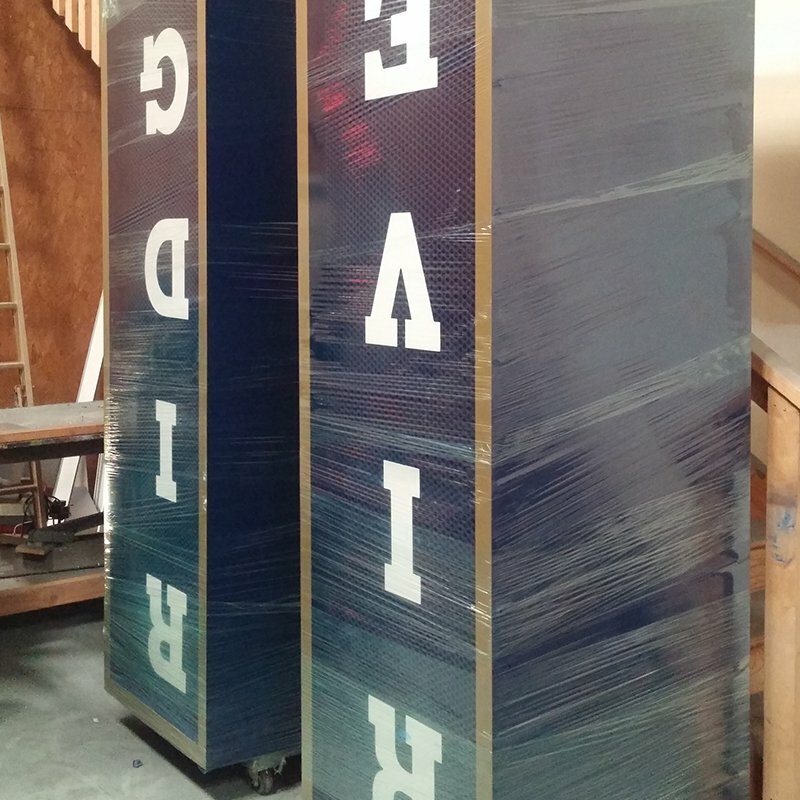 River Ridge High School in Woodstock, Georgia was excited to upgrade their outdated scoreboard to include a modern 10mm, 10 foot by 20 foot LED video display. 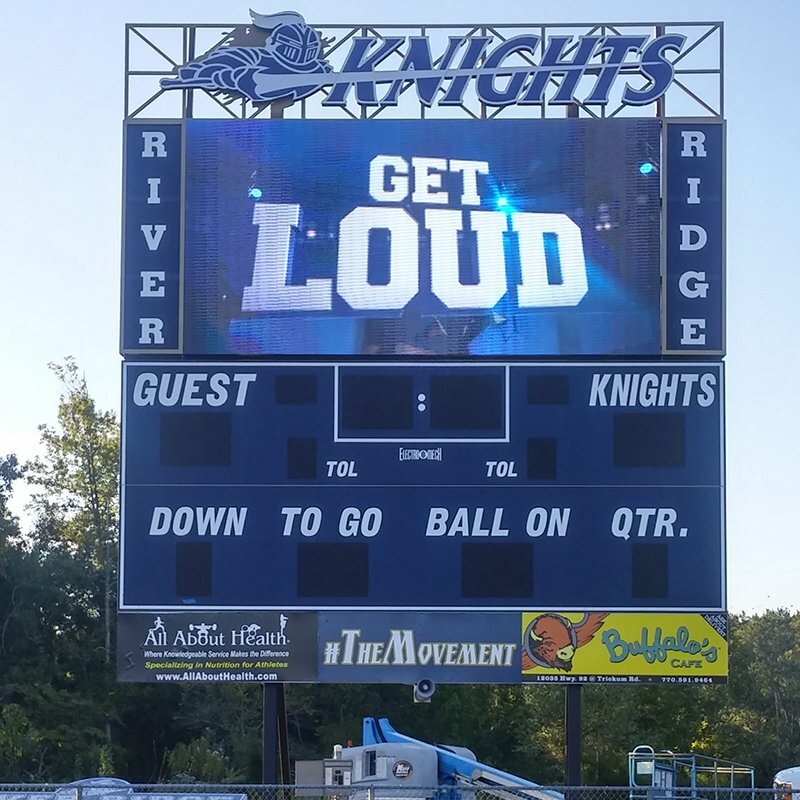 Custom speaker boxes were added to each side of the LED video display and the Knights mascot, with internally lit channel letters, graces the top of the scoreboard for each field event. 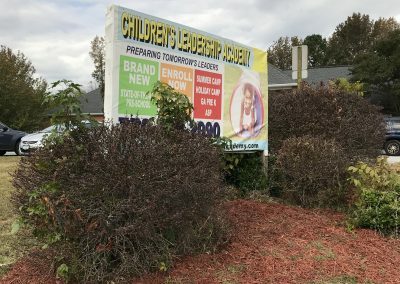 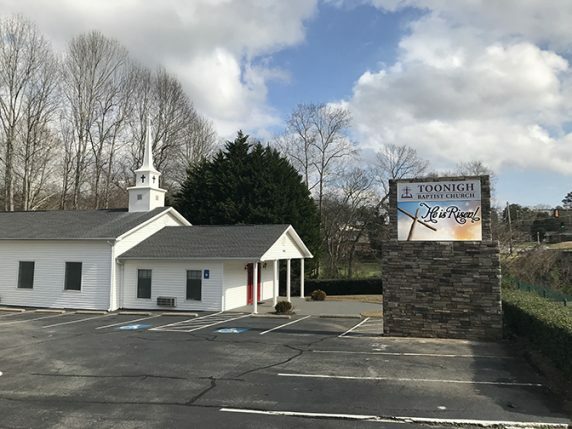 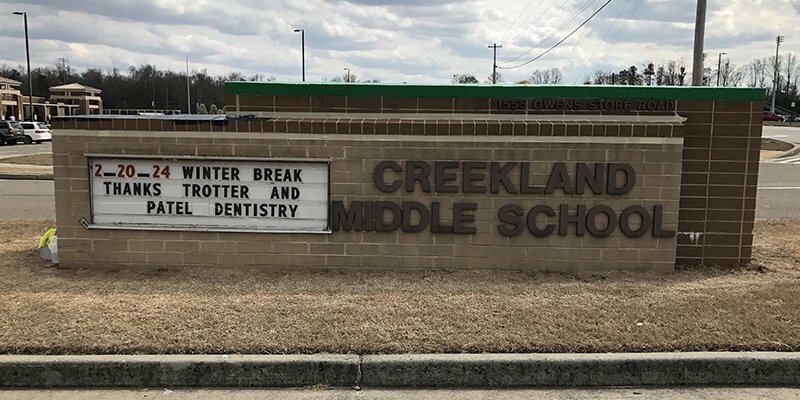 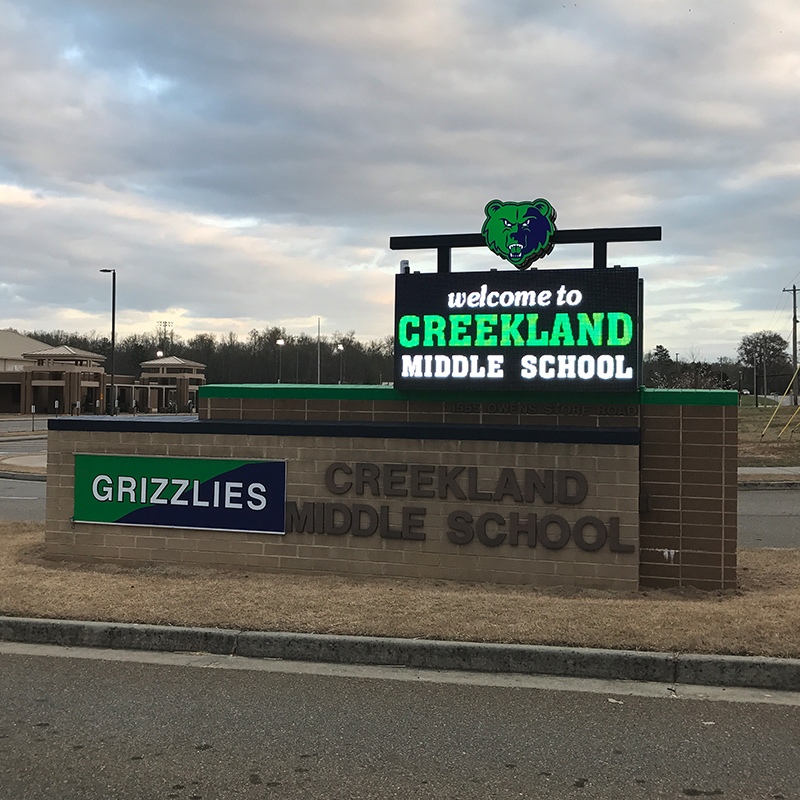 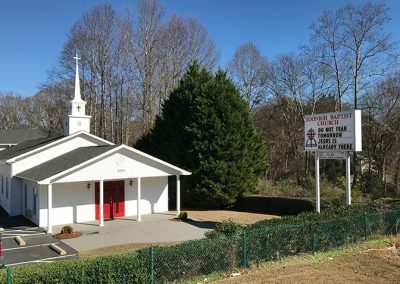 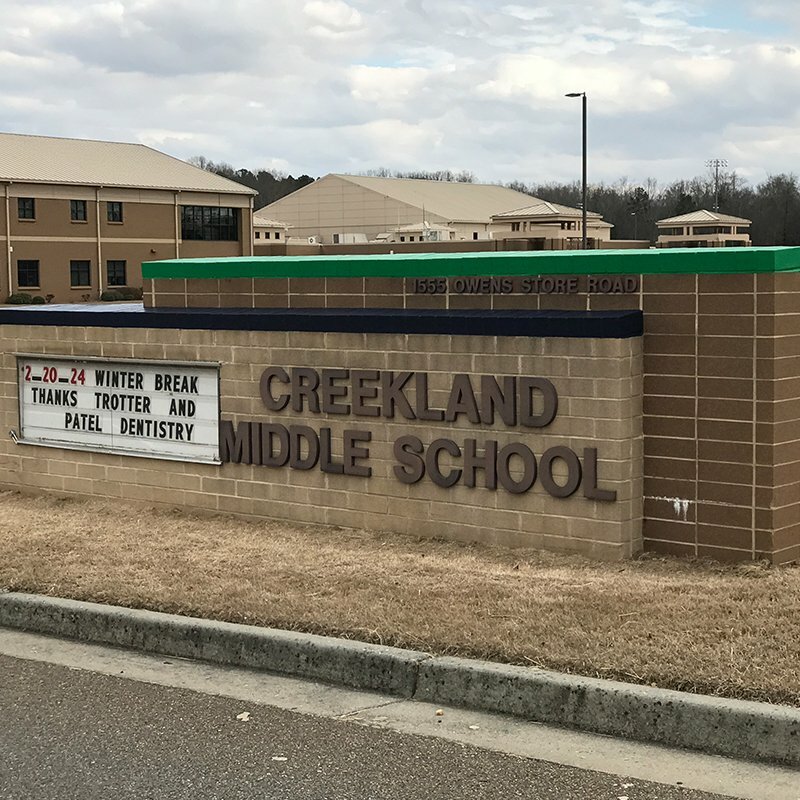 Creekland Middle School in Cherokee County, Georgia upgraded their outdated brick monument and broken reader board sign to include a 3 foot by 6 foot 10mm LED display which features their mascot at the top of the sign. 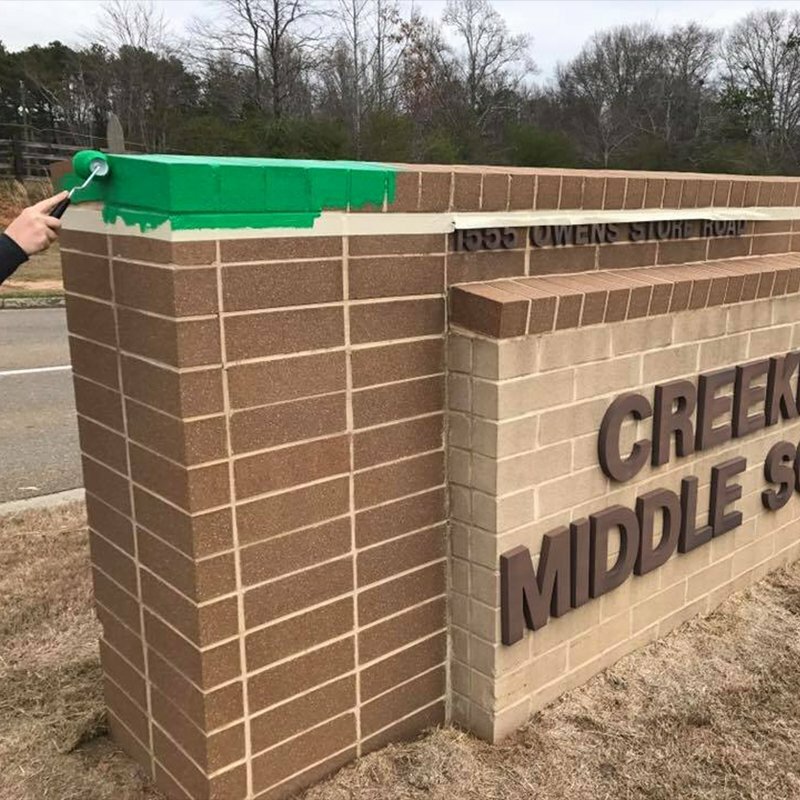 Enhancing the overall look of their upgrade, their school colors were added to the brick monument to tie everything together. 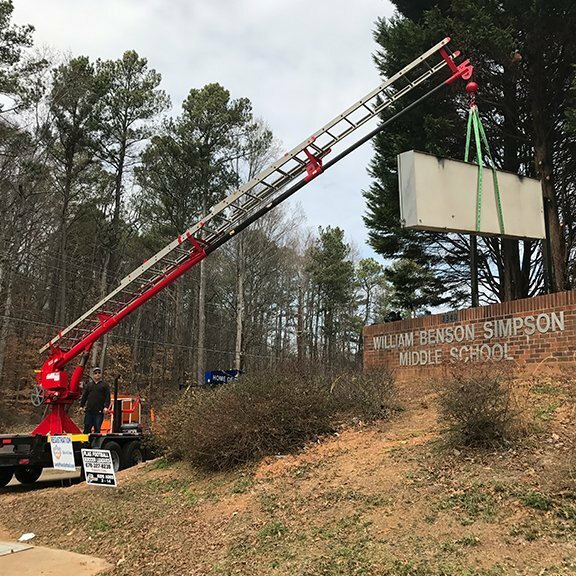 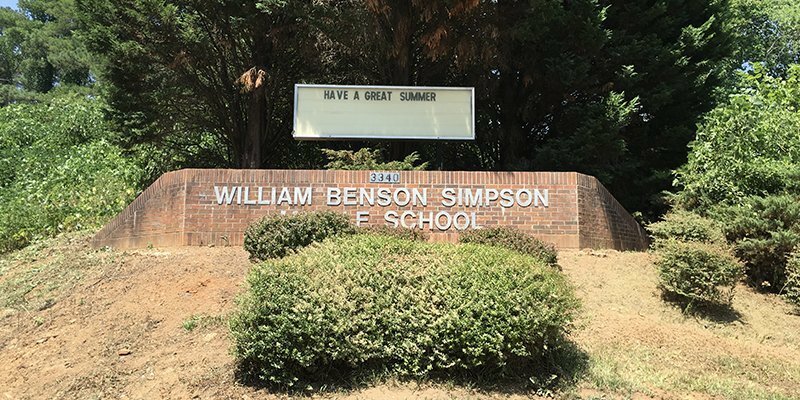 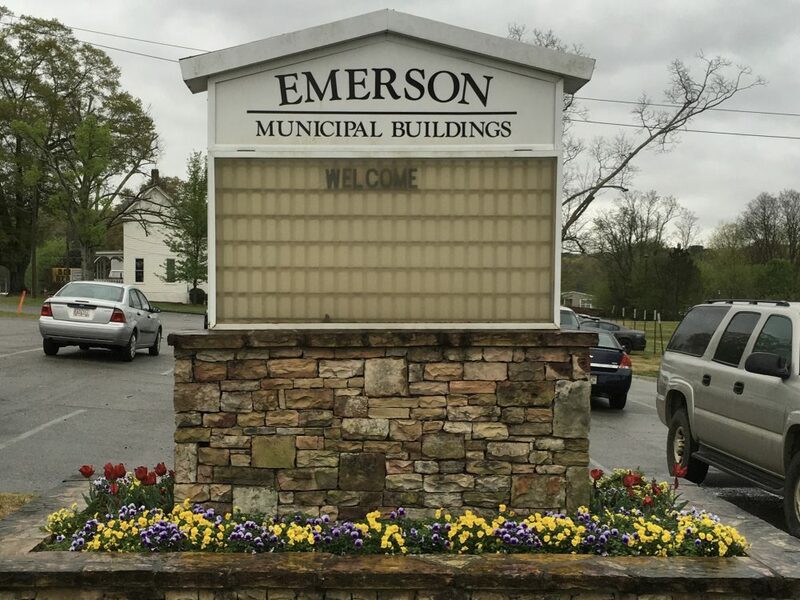 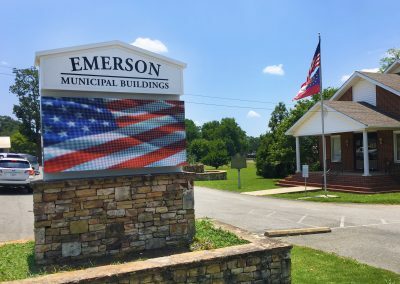 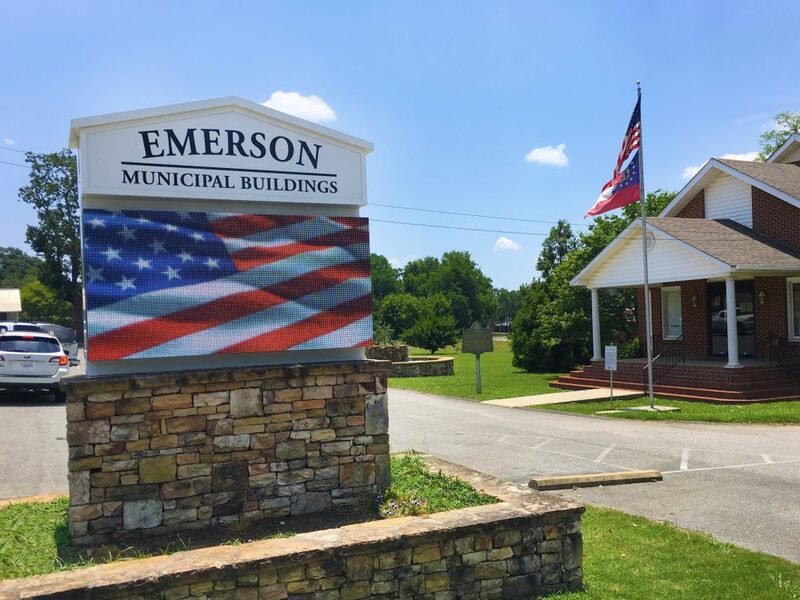 Simpson Middle School was in need of an updated sign for their school entrance, which is located on Trickum Road in Marietta, Georgia. 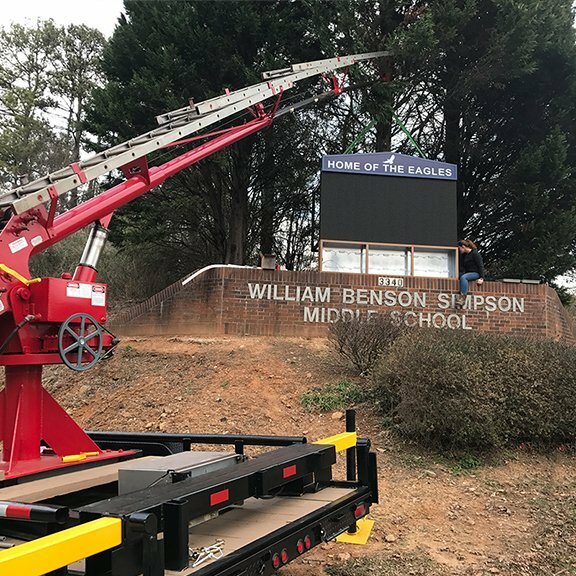 In addition to the beautiful 4 foot by 8 foot 10mm LED display, SignGig tied the old with the new to include matching brick and brick columns, the school motto and mascot and a few advertising panels. 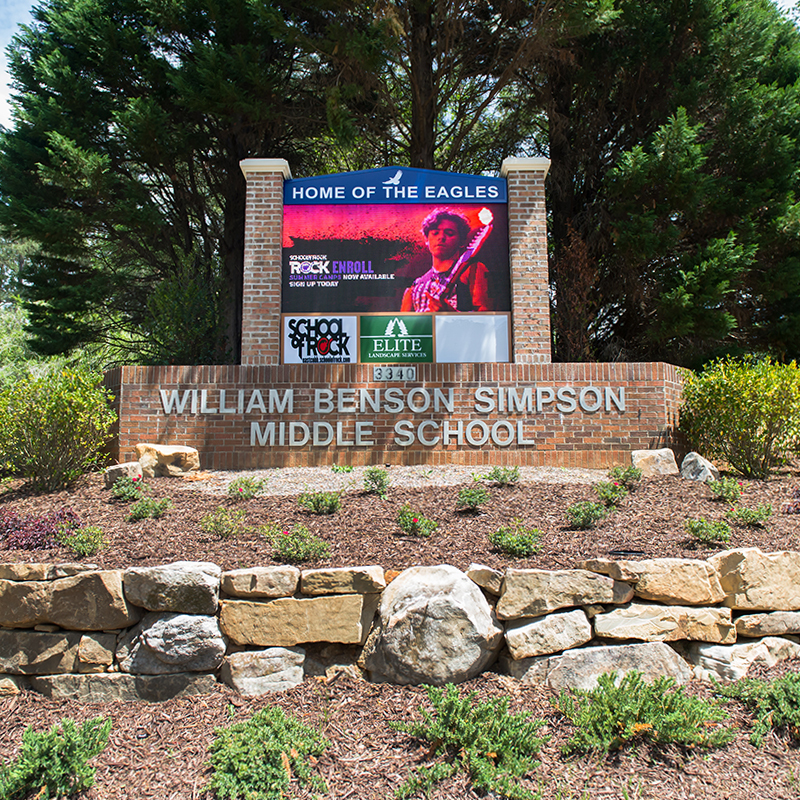 The school foundation made some amazing landscaping upgrades which makes this makeover soar high by exceeding everyones expectations. 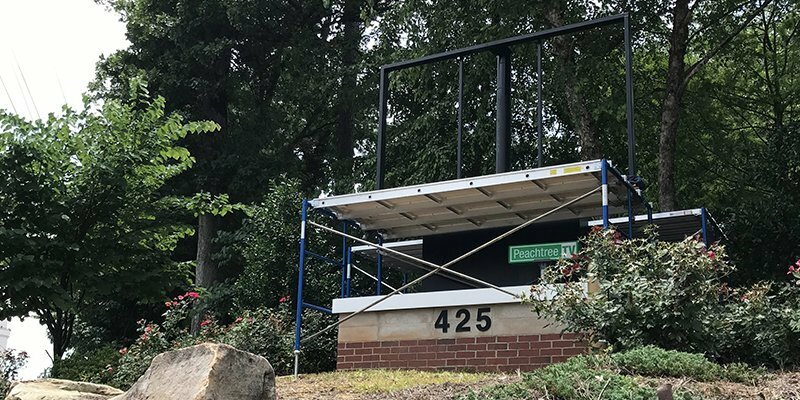 View more recent projects with before and after pictures. 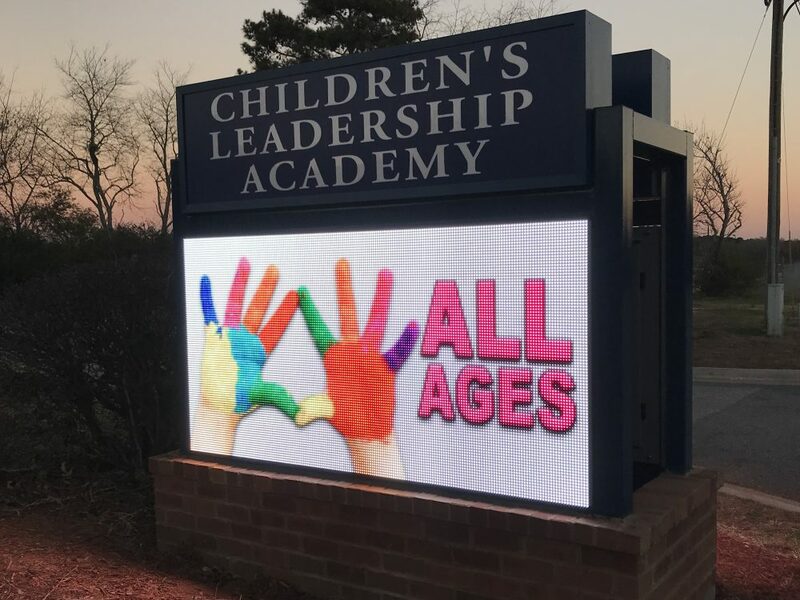 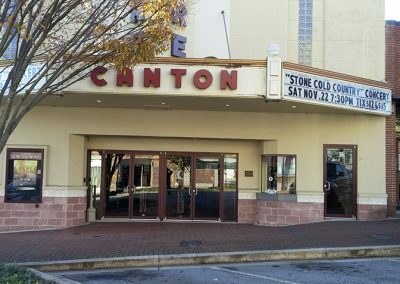 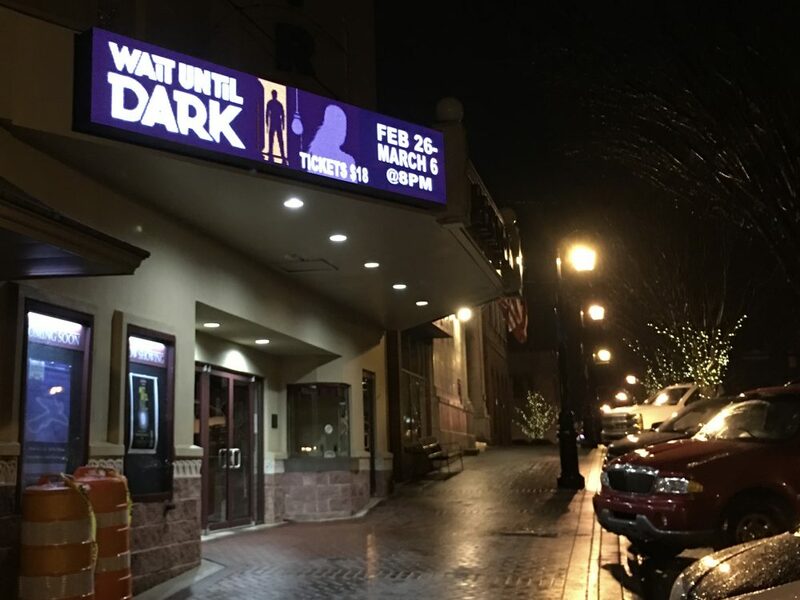 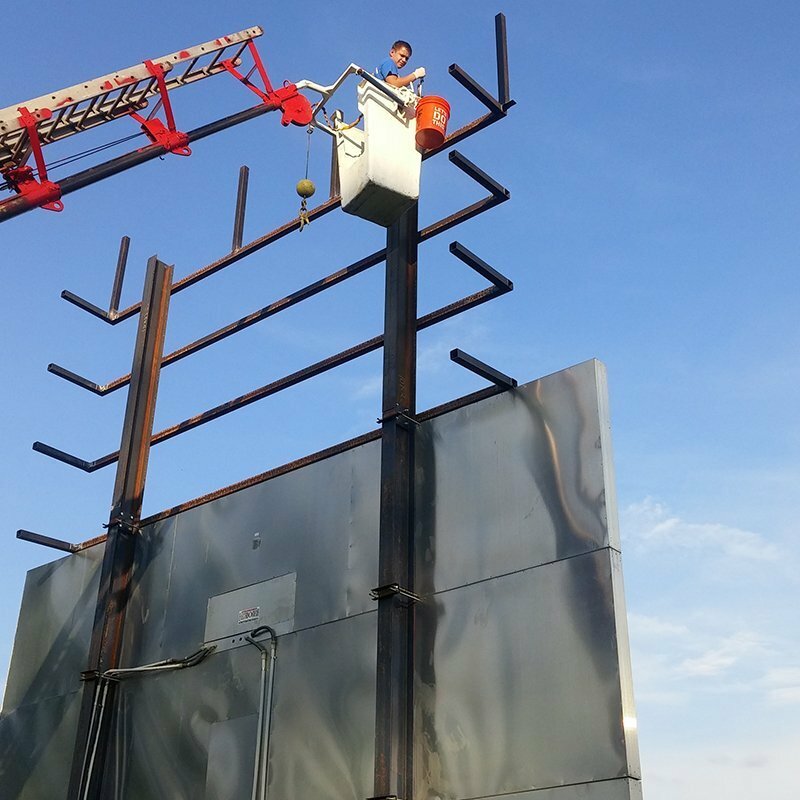 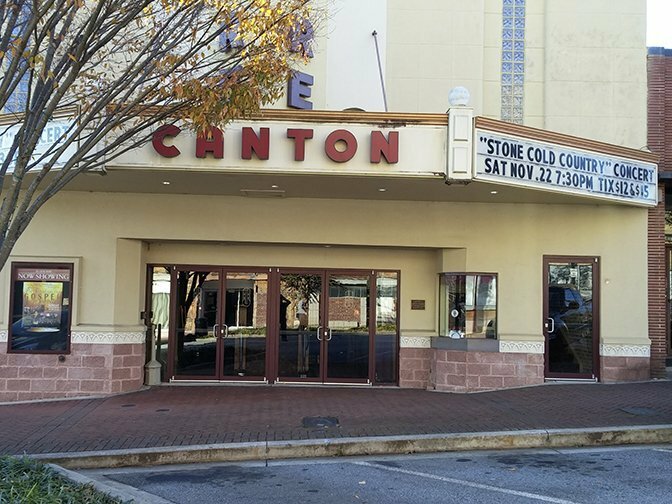 we look forward to hearing about your led sign project!